Where's your light house ? Julle moet vir ons wat ver weg is sê waar die lighuise is asb. Ai jai jai jai jai ! 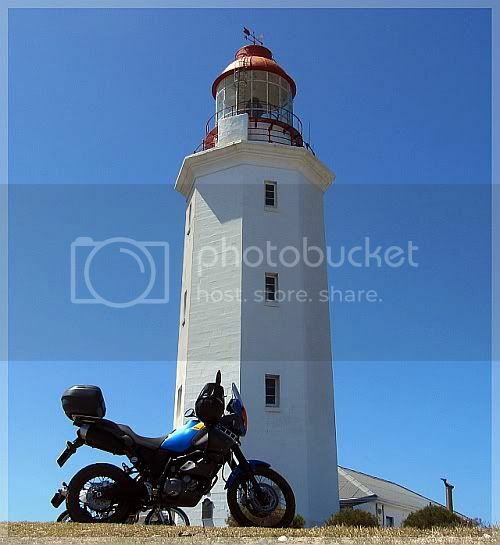 I know the title of this thread says "Bike & Lighthouse",.... but I thought this photo I took today of SWAMBO standing in front of the bakkie, in front of the "Slanghoek Lighthouse" in Kommetjie, came out quite nice & I thought I'd share it here. Agulhas die afgelope naweek...Silwervalk en GeelKameel...Biker Chick was die fotograaf.